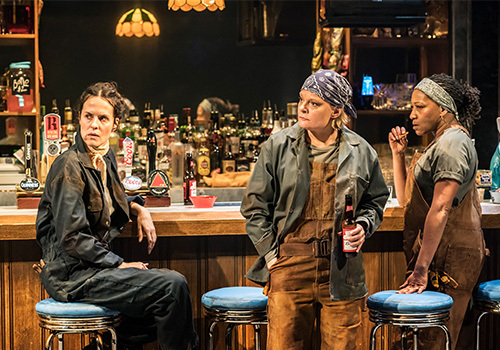 Lynn Nottage’s 5-Star ‘breath-taking’ (The Guardian) play Sweat transfers to the West End’s Gielgud Theatre for a performance run of 50 shows from June 7th. 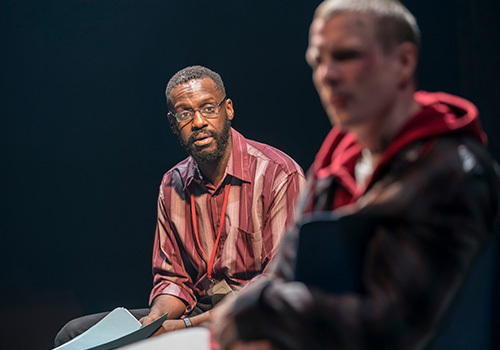 The Pulitzer-Prize winning play is based upon Nottage’s experiences of spending time in Reading, Pennsylvania, which is one of the poorest cities in the USA. The play follows a city which is divided by racial tension and collapsed by industry, and sees friends pitted against each other because of big business, as well as the gradual decline of the elusive American Dream. The cast includes Martha Plimpton, Clare Perkins, Patrick Gibson, Leanne Best, Osy Ikhile, Wil Johnson, Stuart McQuarrie, Sule Rimi, and Sebastian Viveros. 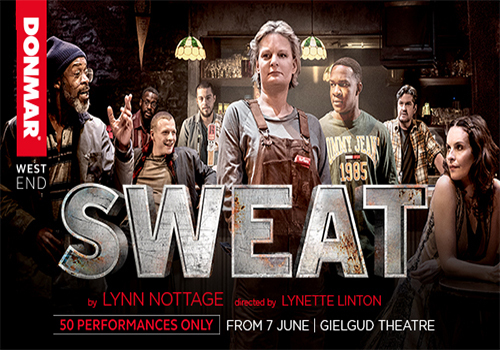 Sweat is written by Lynn Nottage, the first (and currently only) woman to have won a Pulitzer Prize twice. The prizes are for Sweat and her 2009 play Ruined. Other plays include Crumbs From the Tables of Joy and Intimate Apparel. Nottage is currently writing the book for the musical adaptation of The Secret Life of Bees. Sweat is directed by Lynette Linton, who is the former resident assistant director of the Donmar Warehouse, and current artistic director of the Bush Theatre. Linton’s current work includes curating Passages: A Windrush Celebration at the Royal Court, as well as co-directing the all women of colour production of Richard II at Shakespeare's Globe this spring. The creative team of Sweat includes designer Frankie Bradshaw, with lighting by Oliver Fenwick, sound and composition by George Dennis, and videos designed by Gino Ricardo Green. Movement comes from Polly Bennett and fight direction by Kate Waters. Sweat plays at the Gielgud theatre for a short run from 7th June – so make sure to book those tickets so you don’t miss out! The age recommendation for Sweat is to be announced. Those under 16 must be accompanied by an adult.